This weeks company drill was at the Dublin Terrace Apartment complex. Dublin Terrace is made up of several large four story wood frame apartment buildings. Our focus was on hose line advancement, use and operation of our 50ft ladder and tower ladder positioning. 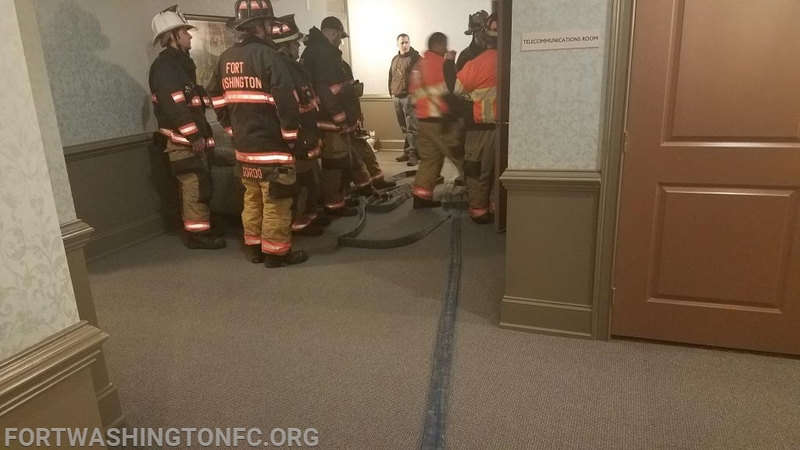 We were ably to verify that our 300ft 1.75" hose line will reach the 4th floor with 50ft of hose left for inside an apartment. 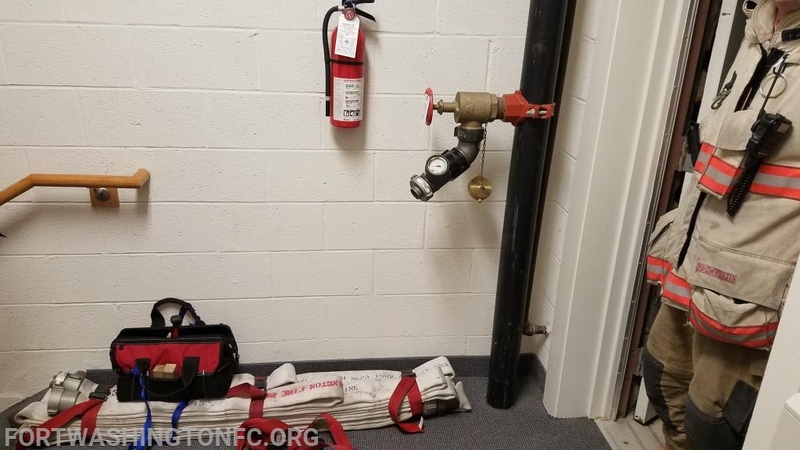 In addition to the 300ft line crews connected a high rise pack to the stand pipe along with the fittings carried in our stand pipe kit. 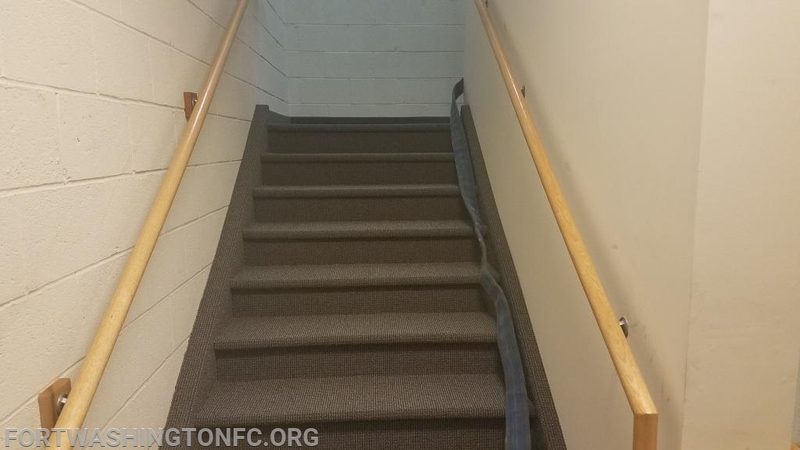 The 50ft ladder was setup and climbed to familiarize all members with its use. 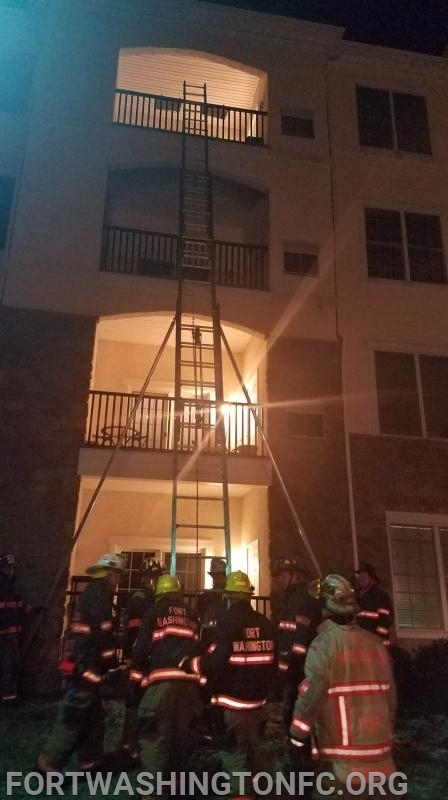 This complex has several buildings where aerial apparatus can not access parts of the building and our 50ft ladder is the only way we can reach the 4th floor balconies. All of our drivers worked with the Chief Engineer to see what sections of the buildings Tower 88 could reach with its aerial. During the drill we had a special service entered into the CAD by the Montgomery County Dispatch Center so we could verify our pre-plan information and maps are loaded an accessible.